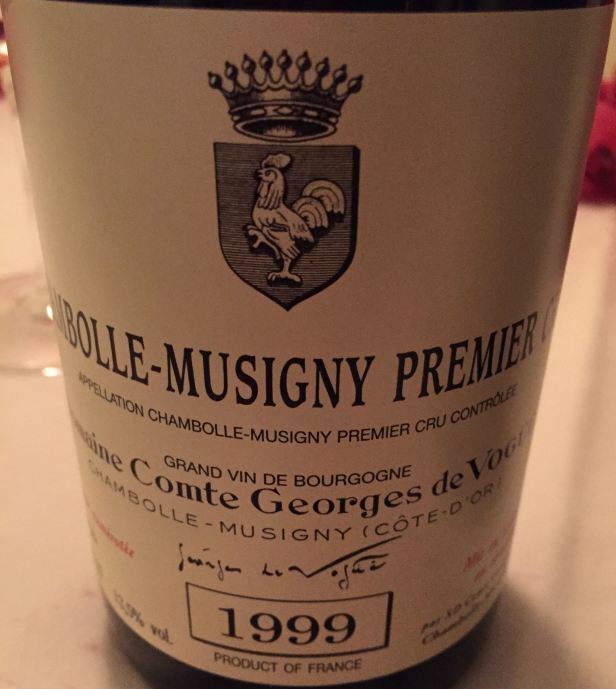 There aren’t many top producers that I’ve been lucky enough to enjoy as often – both tasting and drinking – as Domaine Comte Georges de Vogue. There are therefore a lot of write-ups on this site, many can be found here and most are down to the wonderful generosity of friends and customers. It was great to have Jean-Luc Pepin in London in mid march to oversee a dinner which was to focus on the 1999 vintage. Jean-Luc started the evening with a rundown of the growing season. This was a very generous vintage with the challenge being to keep control. The current team of Jean-Luc (Commercial Director), Eric Bourgogne (Chef de Culture) & Francois Millet (Chef de Cave) have in fact not seen a bigger harvest and they’ve been there 30 years. There was a green harvest and no drought, with great but balanced weather through to harvest which started on September 19th. Everything was harvested in a week. The sort of vintage Burgundy would given so very much for these days. We started, as you would expect, with the Domaines white wine. 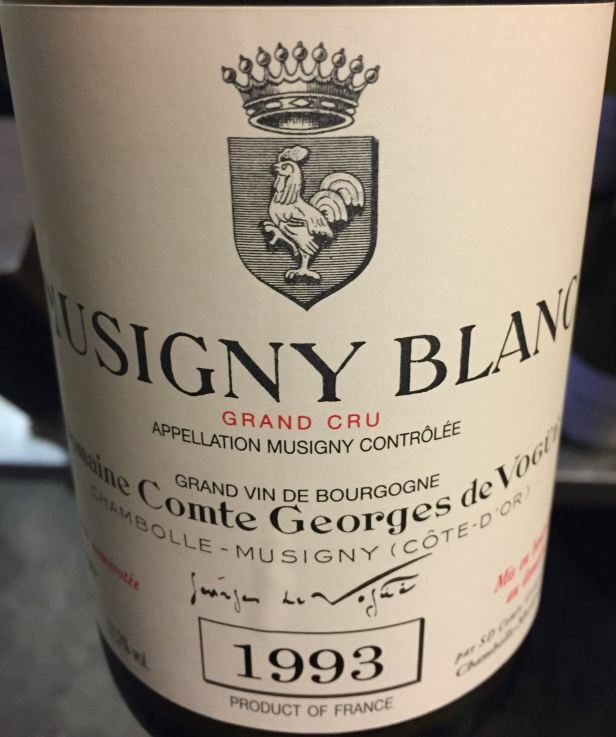 They have only ever had Chardonnay vines in one spot (in Musigny) but they have made a wine with two different names…until (and including) 1993 they made Musigny Blanc, this name returns with the estate’s 2015 white being Musigny Blanc, in the interim vintages, as a result of extensive re-planting, the white wine produced (1994-2014) was named Bourgogne Blanc. The reason for this rather dramatic looking (but entirely optional) de-classification is that there is no designated white appellation between the two, no Chambolle-Musigny Blanc for example. The re-plantings were done at three different times 1986, 1987 and 1991. With the 2015 the team deem the vines to be be of sufficient age to go back to the Musigny Blanc designation. 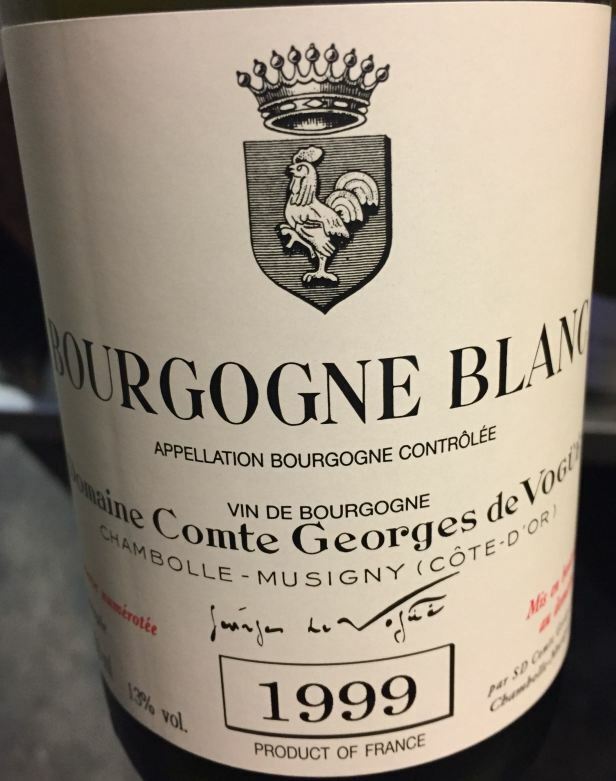 So with quite a build up what was the Bourgogne Blanc 1999 like? Well the nose had a little touch of reduction, briney too with a little salty tang. Refined and quite rich but with enough focus, the palate had more pungency and weight to it, almost iron-like, there is decent fresh minerality and a slight note of Poire William. Very very good indeed if a shade short of profound. Staggering when you consider the age of the vines. 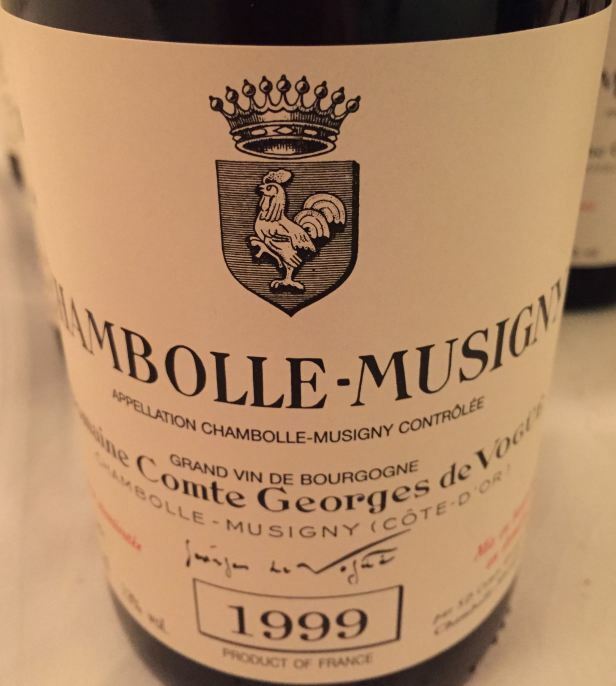 Chambolle-Musigny Villages 1999 – Tiny bit of orange rind peaking in, rich, poised with good sappy fruit, delicious right now. 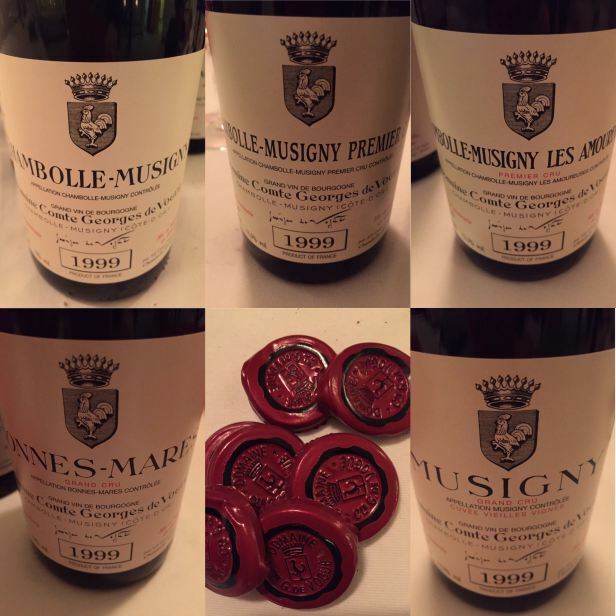 Chambolle-Musigny 1er Cru 1999 – Quite brooding, you do get the Musigny feel. Somehow this has both more richness and more freshness. A few spices and some herbs creep in. A little Bacon fat…I felt this is just coming into itself now and this was confirmed when I returned to the glass an hour later and it was blossoming. Cracking. 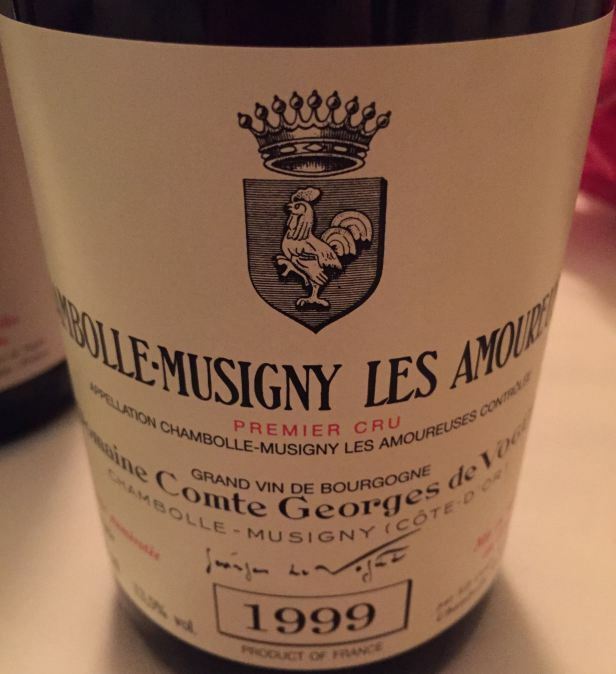 Chambolle-Musigny 1er Cru Les Amoureuses 1999 – Juicily lovely on attack, superb refined nose, cranberry and violets then a marked note of pomegranates. Poised, feminine and superb. Bonnes Mares Grand Cru 1999 – A touch of maturity here but with good focus, this is pretty much a contradiction but I sort of know what I mean. Becomes quite extrovert and opulent with air. Generous even. Jean-Luc was interesting here saying that “Bonnes Mares is the antitheses of Amoureuses” with “almost no minerality” all “heart on sleeve”. I loved it but then I have always been a big Bonnes Mares fan (for more read THIS). 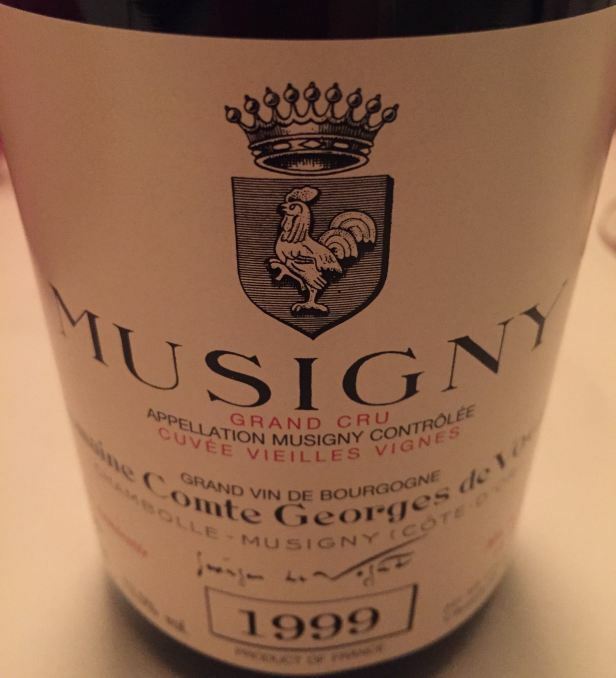 Musigny Vieilles Vignes Grand Cru 1999 – This has been a contentious wine for some of the Burgundy loving fraternity. Some loving it for its seriousness others wondering if they will live long enough to see it “strut its stuff” to the full. I have had it a few times and I feel it really is getting there now. Brooding, serious nose with darker fruits than seen so far, somehow savoury and primary at the same time…on the finish there is a “coulee of red and black fruits” (to quote J-L). 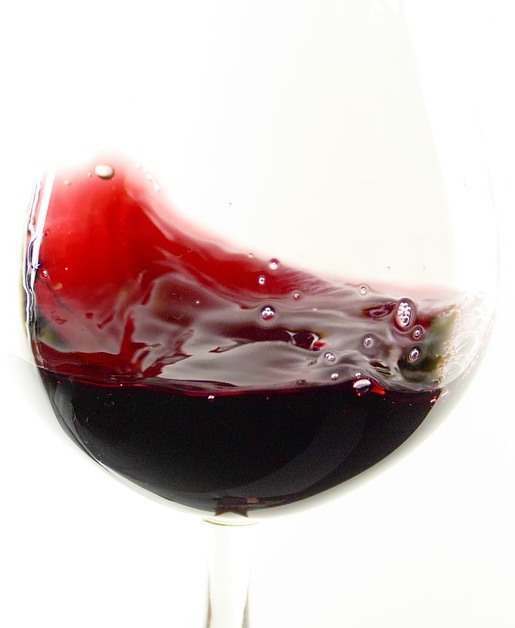 This is a wine to wallow in and not rush. So finally, with cheese, we had decided to have a blind vintage of “White”. Saying no more than that. Each table (of which there were seven) was asked to have a go at naming the vintage. Impressively three of the tables were correct in naming it as Musigny Blanc Grand Cru 1993. This, of course, being the last vintage of the Musigny Blanc until the just released 2015. 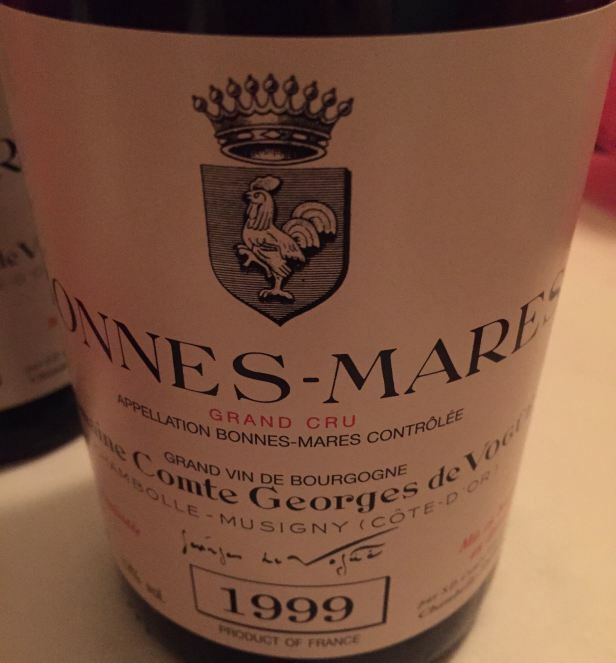 There was, for a 24 year old white, a good level of consistency amongst the bottles. Overall my main characteristics were a dry unctuousness and a lovely salty tang. A little like a 48 month Comte in vinous form. And that was that, I really hope the theme continues and that next year will be 2000 or maybe 2001 either way, if you own the 1999s you can me rather smug!